It was in the thick of things that I started from the office that evening. I had an event next day. The buses had been on flash strike, on April 1. Whoever wanted to make a fool of whom only they will know the answer. 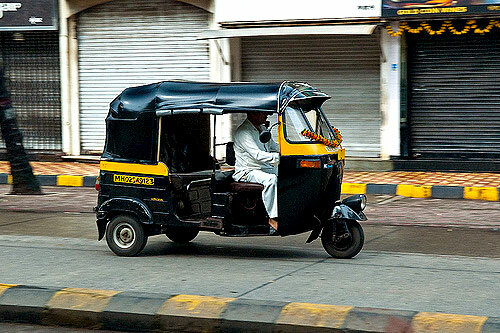 It was tough to get rickshaws, and if you got one, they would ask a bomb or never cared to take you short distances. As I cursed myself I thought I should walk the distance if everything fails. As I contemplated this I saw another rickshaw coming my way and waved my hands. Luckily he stopped. I told him the hotel name, he said ok and then we crossed the highway to the road on which the event was to be held. I could feel so happy about someone, who took it so nicely and since autos were very tough to get, I said it was nice of him. We exchanged ideas while we waited at every traffic junction. While it was true they had genuine concerns on the payment and salaries they should not have made it so bad for common people. That was his take. I turned and he held 3 one rupee coin and said I have taken my due this doesn’t belong to me. I was literally stunned, in this world where we go after money, someone was content, at his rightful earning, and happy at that. He became my role model. I told myself, if I have to earn money it shall be done with respect and dignity. I dont know his name- I call him my Autowala bhaiyya.